The National Rural Health Association has included Ascension St. Michael’s Hospital in its top 20 list for best rural hospitals in America. The ranking was based on an evaluation by The Chartis Center for Rural Health using iVantage Health Analytics’ Hospital Strength Index, according to a news release from Ascension. St. Michael’s is the only hospital in Wisconsin to earn the recognition. Another Ascension hospital, St. Joseph in Tawas City, Mich., was also recognized. Inpatient market share, outpatient market share, quality, outcomes, patient perspectives, costs, charge, and financial stability were all metrics considered in the ranking. Kirschling also cited the St. Michael’s “hospitalist” program, which oversees care for hospitalized patients, offers telemedicine, and includes expanded services like the hospital’s new Breast Care Center, recently renovated emergency department, and outpatient services areas as “key enhancements supporting quality care, close to home”. “Ultimately this recognition is the result of our leadership, clinicians, associates, and volunteers working tirelessly to develop a culture of continuous improvement for the benefit of our patients as we strive to meet the changing needs of our community,” said Deb Standridge, North Region President of Ascension Wisconsin. 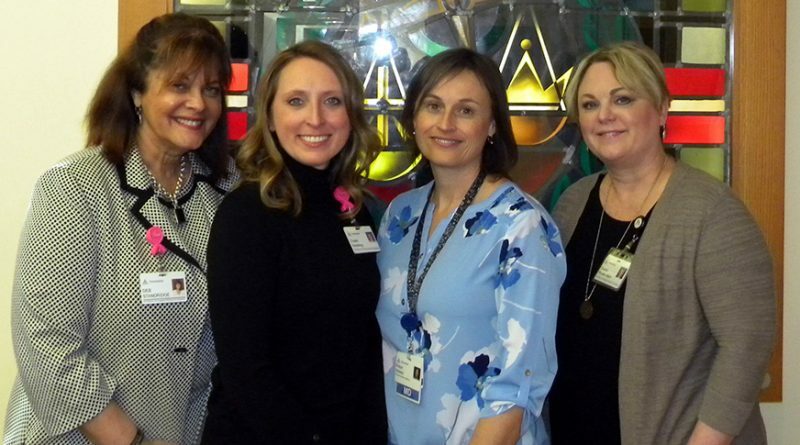 Representatives from Ascension St. Michael’s will be recognized in an awards ceremony during NRHA’s Rural Hospital Innovation Summit on May 9 in Atlanta.